Rega Research is a hi-fi equipment manufacturer based in the the UK. Rega was founded in 1973. The company’s name was formed of the initials of its two founders (RElph & GAndy). The name is correctly pronounced “ree-guh”, not the more common mispronunciation of “ray-guy”. 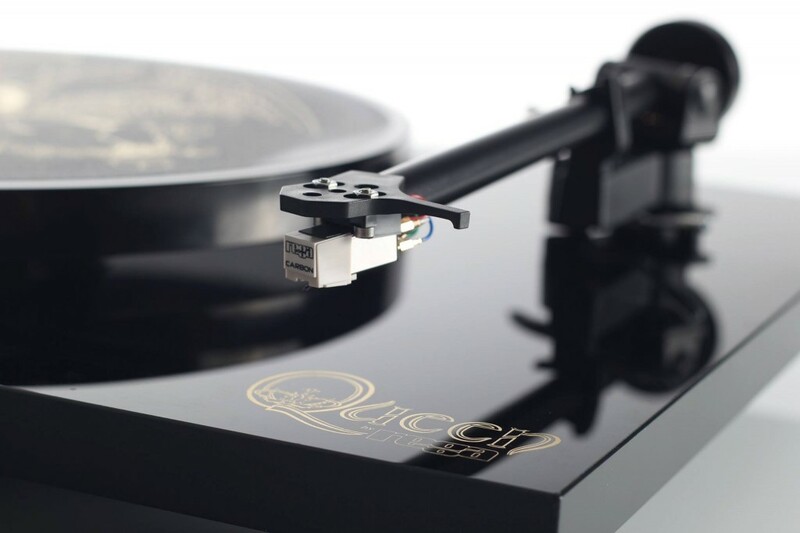 Rega are widely known for their turntables, cartridges and tonearms, and has produced award winning amplification and speakers for over 20 years. 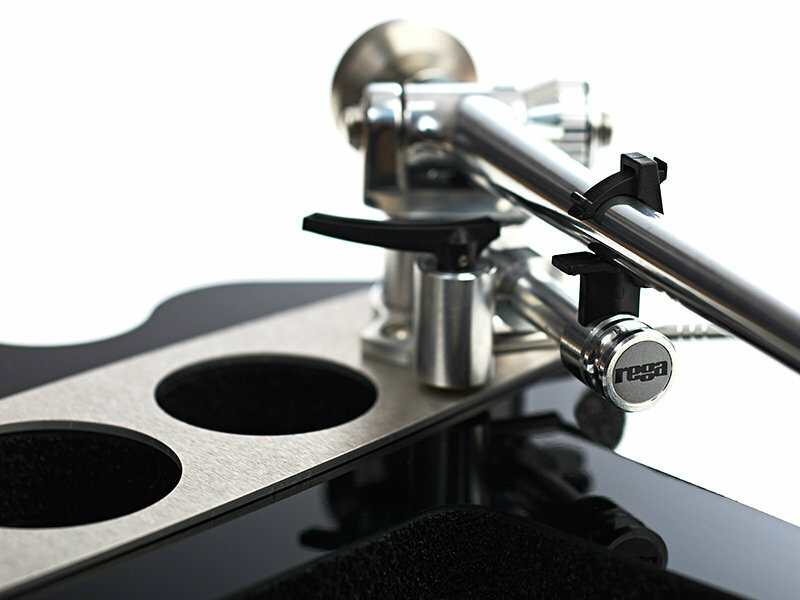 We love Rega products because they offer great value for money and sound fantastic. Their affordable products are at the price point at which hifi because something rather special and are also our most affordable British brand. 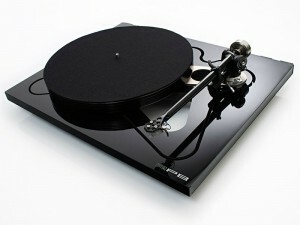 Rega are best known for turntables. You can read an in depth article about them here. Rega do things differently and approach each product from the perspective of offering performance and value for money. Like Naim Audio their products are built to last and can be serviced so that they have immense longevity. Rega also invest heavily in new production techniques to enable them to develop high end products. This technology then quickly filters into more affordable products. Two years ago Rega launched the Brio R amplifier and matching Apollo R CD player. These diminutive components are priced at about £500 each and yet take on the heavy weights and often win. They really do punch above their weight. Rega have also ensured that their World famous record players have continued to evolve and improve. So confident are they in the excellence and simplicity of their design that they offer a lifetime warranty against defect. As well as making turntables, CD players, DACS, amplifiers and loudspeakers, Rega make a wide range of high quality audio accessories. 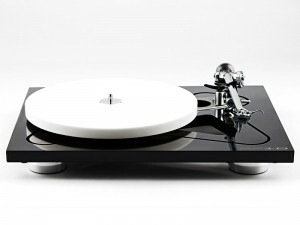 Click here to see Rega turntables. Here to see their amplifiers and here to see their loudspeakers. Some of the most innovative and best value products in our store are made by Rega and we stock most of their products. Rega have been making turntables since the ’70’s. An engineering company, Rega follow the process of making high performance and affordable products that are designed to offer long life and can be easily serviced. Rega turntables follow a top down design aesthetic with R&D used to develop high end products being trickled down into the most affordable products. 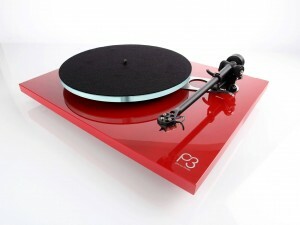 Rega know a lot about turntables and at the heart of this is simplicity and engineering prowess. Before we list the models that make up the range it might be of interest to actually look at what turntables actually do. For a start they have to spin at the correct speed and daft as it sounds most turntables actually fluctuate in speed. If the record isn’t rotated at 33 1/3 rp (or 45 rpm) the music will sound discordant, out of time and fundamentally “wrong”. Getting this right isn’t as easy as you might think because the UK mains voltage actually fluctuates. Secondly the turntable has to offer the stylus up to the groove at the correct angle and geometry. It must also recover as much information from the groove and transmit it to the amplifier with as little loss as possible. Any movement in the bearings or loose fitting components will mask or lose music! In short getting everything off the groove and doing it in correct time is the result we are looking for. The new Planar 1 is the most user friendly Rega turntable to date and is pretty much plug and play. Now with preset bias force on the brand new RB110 tonearm, the Planar 1 is set up in seconds after unpacking. Simply slide the balance weight onto the rear of the tonearm as far as it will go, remove the stylus guard and start spinning your favourite vinyl. 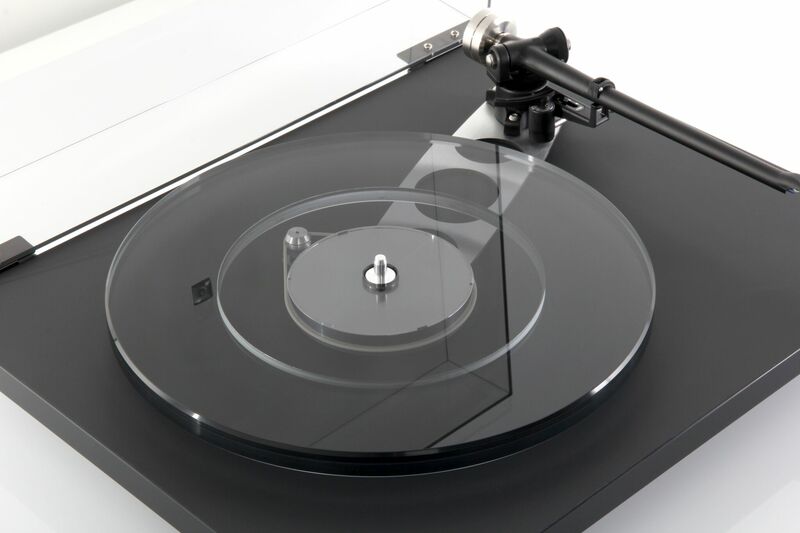 For the first time the Planar 1 is now running a 24v, low noise, synchronous motor to reduce vibration transfer combined with the brand new RB110 tonearm fitted with Rega’s bespoke zero play bearings. If you are looking to get into vinyl, or rediscover your old records then this is a great place to start. 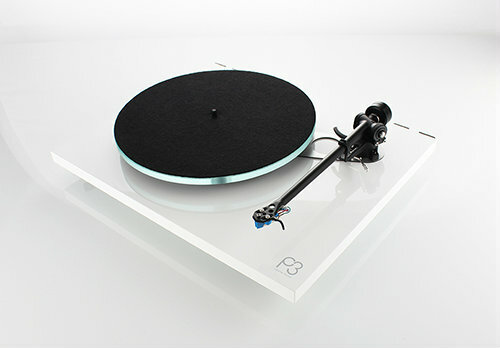 The turntable is fitted with a Rega Carbon MM cartridge. This is a modified Audio Technica and is inexpensive but rather good. It also has a detachable stylus which makes it easy to replace without taking the turntable into a retailer or getting your tool box out. This is an ideal place to begin or to rekindle your love affair with vinyl. At home in a budget to a mid-priced system you’ll love the P1. The P1 costs £248 and can be seen here. The P2 has a number of improvements over the P1 as you would expect. The plinth is made of a different material; a laminate acrylic which is stiffer in all planes. 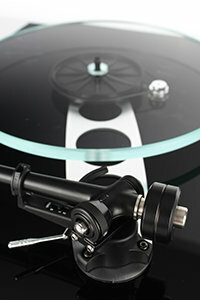 Light and rigid are key components to all Rega turntables. The tonearm is also improved. On the P1 the headshell is glued onto the main arm tube. The P2 however is a continuous one-piece casting. This offers greater rigidity and better performance at the frequency extremes. Rigidity is massively important in a tonearm because the stylus is measure minute movements. If there is any give or play in the tonearm then that will lose the valuable data recovered from the groove. Put simply; less music. The P2 also has an improved bearing housing and an improved power supply board. And finally the platter changes from an acrylic one to a glass one; offering more consistency. 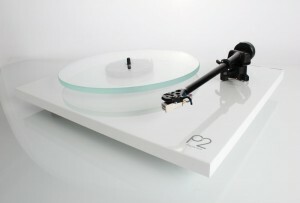 The P2 is also fitted with the Rega Carbon MM cartridge. The differences are clearly audible and most people are pleasantly surprised. The P2 gets more information from the groove. The music is easier to follow the dynamic range is better. In the domain of the turntable; extracting more information from the groove is everything and that is Rega’s business. With the P2 selling for £375 people often ask us if the extra £125 (over the P1) could be better spent fitting a more expensive cartridge onto the P1. Our findings indicate that this isn’t always money well spent. Some customers do it as a after-purchase upgrade and whilst this does offer an improvement; the P2 remains a better turntable. 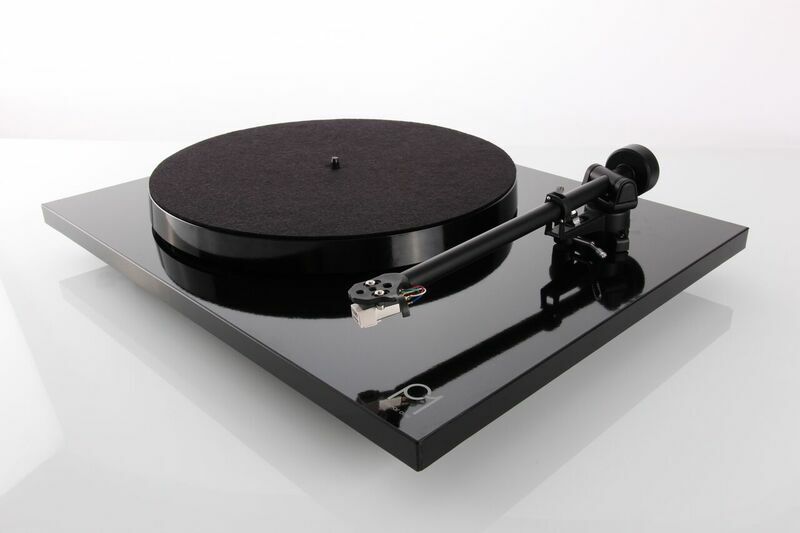 Bearing in mind that Rega decks hold their value well, it is often cheaper to upgrade the turntable in this instance. The P2 costs £375 and can be seen here. 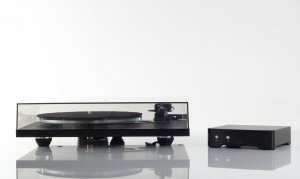 P3 has always been Regas’ best selling record player and it was where they started. It really is something of a “perfect storm” combining all the Rega design elements and yet still maintaining high value. The P3 is the first turntable in the range to offer bracing between the main bearing and the tonearm. 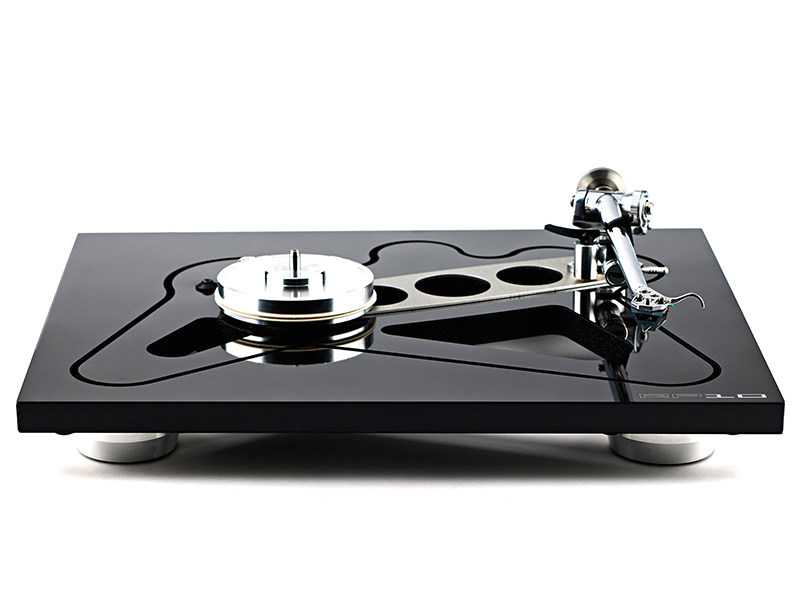 This increased rigidity is a hallmark of the Rega design and offers substantial and measurable improvements. In fact the P3 has two forms of bracing with the purpose of improving rigidity. The P3 also sports an improved tonearm which features even greater rigidity, and improved counterweight, a different way of adding downforce to the cartridge AND totally improved internal wiring and cable/plugs. Even the internal bearings are higher tolerance and the bias set up is manual as opposed to calculated by the arm itself. The platter is thicker and the bearing is also improved. Finally the P3 is designed to allow the addition of an improved, external power supply as an upgrade. Unlike the P1 and P2, the P3 is supplied without cartridge OR with the option of a factory fitted one that is supplied at a better price. Currently that is an Elys 2 but we understand that Rega will soon offer an Ania MC cartridge with the P3. We’ll keep you posted when that happens. Listening to the P3 is a treat. It hints at high end performance but for a far more sensible price. The difference between a P2 and a P3 is extremely big and that’s not to under praise the P2 either. Often we get the chance to compare an older Planar 3 with the new P3 and you can see exactly where the money has gone. There is simply more information and whilst the basic character is the same the improvements are quite surprising. It is for this reason that the P3 remains the most highly reviewed turntable and is Regas’ best seller. The new P6 costs £998 or £1398 with Ania MC fitted and can be ordered here. Super lightweight foam core plinth, derived from the RP10 and RP8. Plinth laminate: New Polaris HPL (high pressure laminate). Non marking matt finish scratch resistant high rigidity skin. High gloss black polymer edging. The Neo uses the RP10 DSP (digital signal processing) generator built upon a high stability crystal. The DSP generator will divide the accurate signal from the crystal to the exact frequency required to turn the platter at the selected speed. The DSP generator will also generate a near perfect sinusoidal waveform to drive the motor. This, along with an efficient drive amplifier, generates a 24V AC balanced signal of less than 0.15% distortion, which is completely un-affected by any changes in the mains/line voltage and conditions. This then drives the turntables anti-vibration circuit, which is situated beneath the turntable. 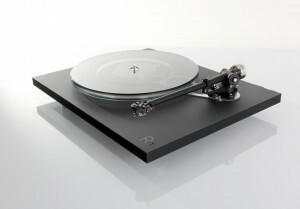 The RP8 is extremely different to the other Rega turntables. Indeed almost every component is different from any other model in the range (except the RP10). It is the first to use the phenolic plinth that is light and yet incredibly rigid. It is essentially an expandable foam that is hardened between two tough skin layers. The cut out part of the deck is the turntable itself and holds all the mechanical components. This can be used as it is or sat into the “frame” which supports the lid and offers an additional degree of vibration isolation. 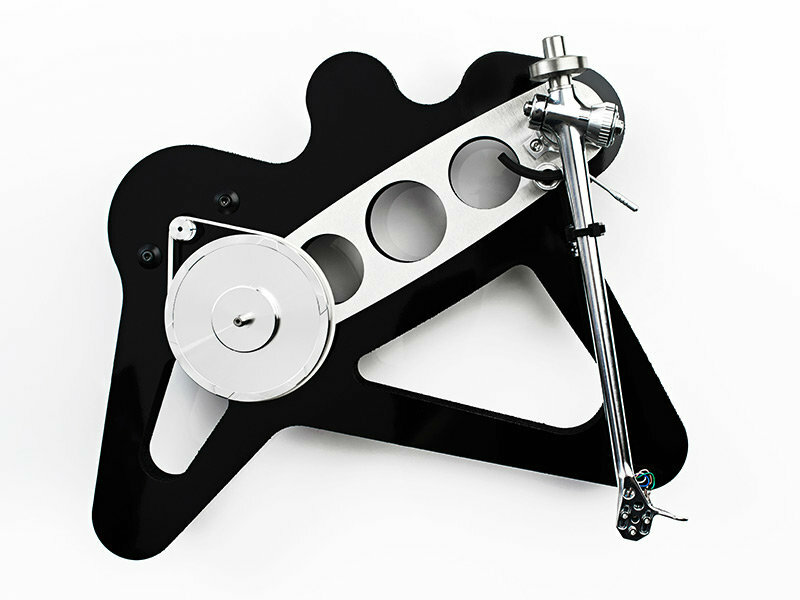 The tonearm is upgraded, the bearing is upgraded as is the subplatter and the platter itself. The RP8 also has an tuned external power supply unit which is matched to the actual motor for noiseless and pitch-perfect speed. The list goes on. The RP8 truly elevates the performance on offer from Rega and will stand toe to toe with some of the best designs. Upon listening one of the standout things you immediately notice is the reduction in surface noise. The turntable can’t eradicate them but with improved signal to noise ratio they appear to become less noticeable in the overall mix. Information retrieval is also extremely good and there is simply more texture and detail to everything. Even classic albums that you think you know intimately reveal new detail and delight. The RP8 costs £1598 without cartridge, £1698 with an Exact 2 MM and £2198 with the Apheta 2 MC. Clearly this isn’t cheap and yet most customers who audition the RP8 feel it offers good value! Find out a little more here. This is the current flagship of the Rega range. “Frankly, the RP10 is not only the best Rega I’ve tested but one of the best bar none, irrespective of price”. Paul Miller Hi-Fi News August 2015 Outstanding Product Award. Housed in Rega’svibration and speed control circuit dedicated to running the 24v low noise motor. The speed and control of the motor is achieved by using a new DSP (Digital Signal Processing) generator built upon a high stability crystal. This device will divide the accurate square wave from the crystal to the exact frequency required to turn the platter at the selected speed. The DSP core will also generate a near perfect sinusoidal waveform to power the motor. Factory set vibration and speed adjustments are then made to the power supply to tune the motor for optimal performance. Dual bracing – A super lightweight plinth combined with a double brace mounted specifically where the increased rigidity is required (between the tonearm mounting and the main hub bearing) forms a structurally sound “stressed beam” assembly. This design prevents energy absorption and unwanted resonances which will add un-natural distortions to the music. The motor is a high specification, 24v twin phase synchronous unit. It is controlled by Rega’s unique and innovative RP10-PSU power supply. The motor drives the CNC machined pulley, sub platter and hub-bearing assembly via the twin belt drive. Each motor is individually hand tuned to its own custom power supply in the factory to minimise vibration, motor noise and ensure optimum performance. The RP10 costs £2998 and can be supplied at improved prices with the Apheta2 and the Aphelian MC cartridges. The Rega designs will work with a wide range of other manufacturers cartridges. We get extremely good results with Nagaoka, some Ortofon, Dynavector and others. 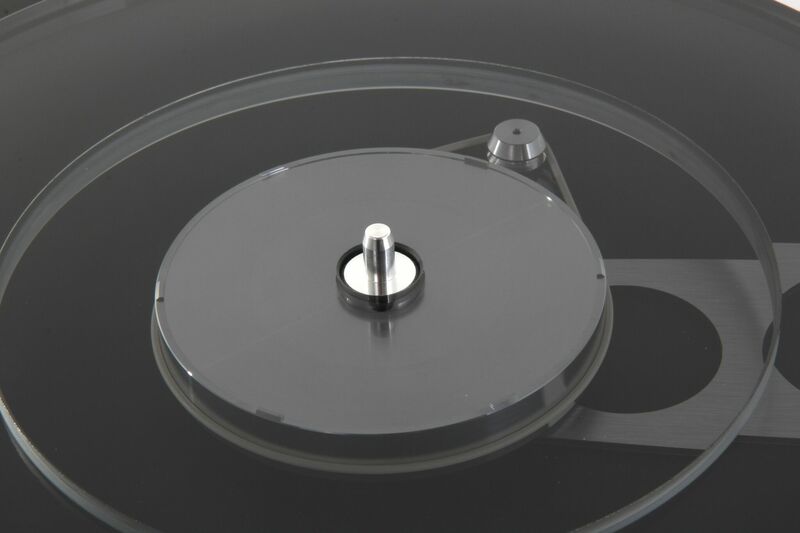 Rega’s own cartridges tend to be one piece designs chosen for increased rigidity. 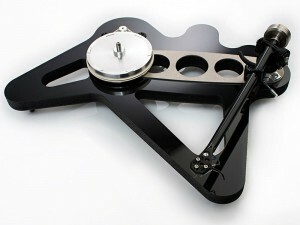 They are also perfectly designed to suit the geometry of the Rega arms and don’t require height adjustment. We’re happy to offer advice on any alternatives you may consider.